Lemax Playing Santa Figurines (Set of 2) depicts a scene of Christmas cheer where a young child has dressed his dog as a reindeer, and turned his toy cart into Santa's toy delivery truck. Relative newcomer to the seasonal Lemax Village miniatures range joining the Santa's Wonderland themed range in 2015, suited for placement in a Winter or Christmas Lemax display. 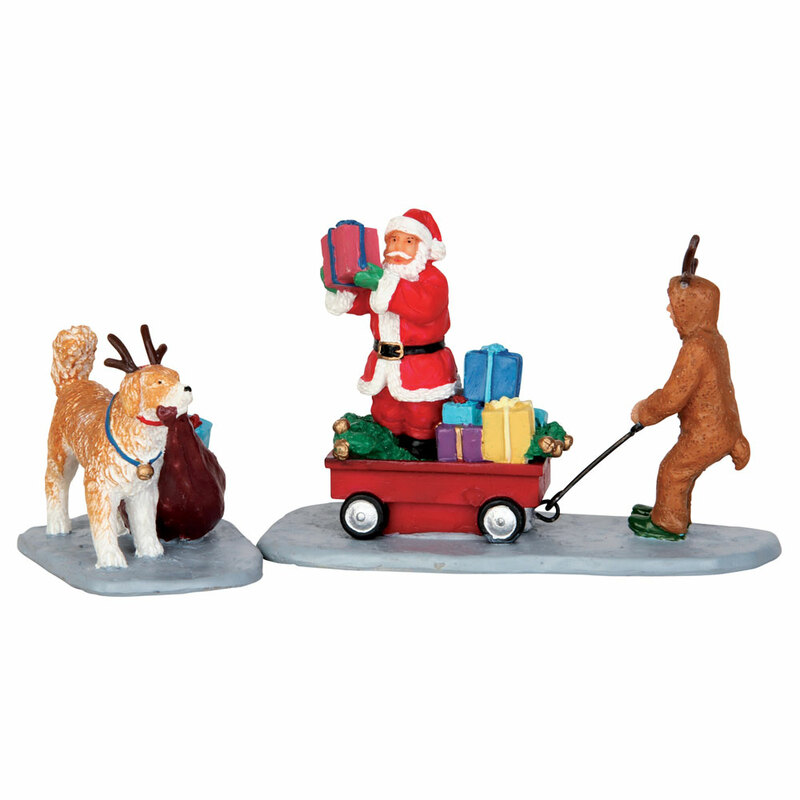 The Playing Santa Figurines set comprises of multiple individual hand painted polyresin figures on two individual street bases to compliment your seasonal Lemax Village Christmas display.